Official 2016 Arctic Circle/Alaska Limited-Edition Commemorative Patch - Soul River Inc.
At Soul River Inc., we want to kick off our 2016 by giving back to those who give to the Soul River Inc. organization. 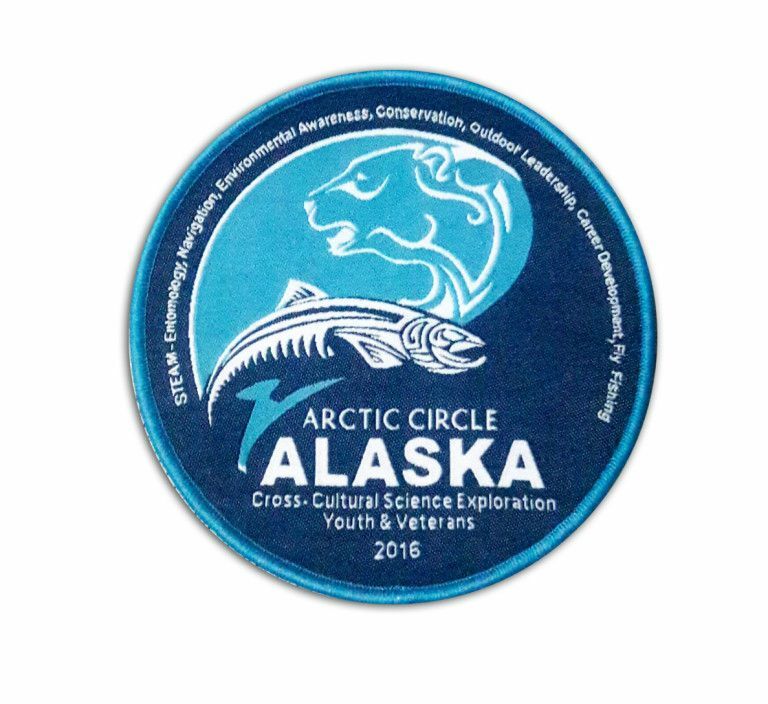 Donors who contribute a gift of $25 or more will receive a 2016 limited-edition commemorative Arctic Circle/Alaska patch for your support! If you contribute $75 or more, your financial contribution not only gets you a limited-edition commemorative patch, you will also be acknowledged in the credit line for our 2016 Arctic Circle/Alaska documentary and other marketing materials for this expedition. This patch is one that our exclusive patches that the youth, veterans, and staff will be sporting throughout the Arctic Circle/Alaska Expedition. It symbolizes community, fly fishing, and the future generation of conservation and climate-change ambassadors. Don’t miss out on your opportunity to be a part of something grass-roots, community-changing, and incredibly impactful! "Veterans and inner-city youth share similar troubles. But they also have one important thing in common: the healing power of wild rivers. Getting outdoors onto protected, public lands inspires hope in both groups. It inspires hope in all of us. Let's conserve our lands and our waters for generations of today and tomorrow."